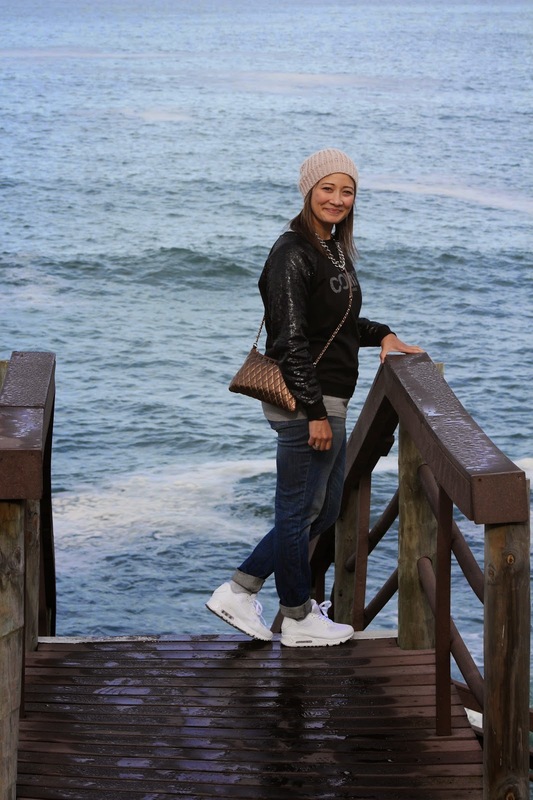 With the cold weather upon us after a beautiful respite, I find myself reminiscing on our couples weekend to Hermanus just before the fast. The blogger voucher (From Lauren’s Blogger Meet in January) spurred me into motion to book this getaway, and time passes so quickly that one doesn’t always make the time for mini weekend breaks. It’s also really hard when you have kids who play sport every Saturday, and train 11 months of the year!! Well thank goodness for sisters, my younger sister offered to take the boys off my hands for a full weekend (that’s the best gift ever) and we set off for a weekend of sun, beach and some hopeful whale watching. 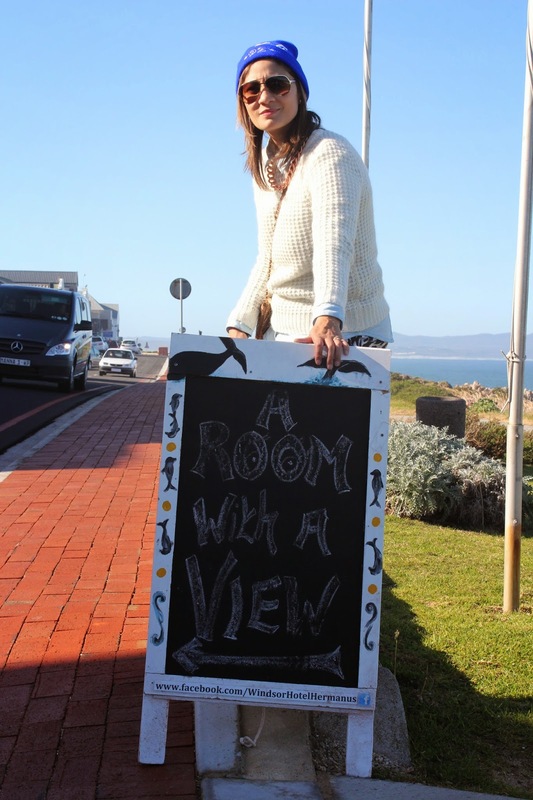 The Windsor Hotel is a quaint hotel situated on the beachfront, overlooking the cliffs of Hermanus. 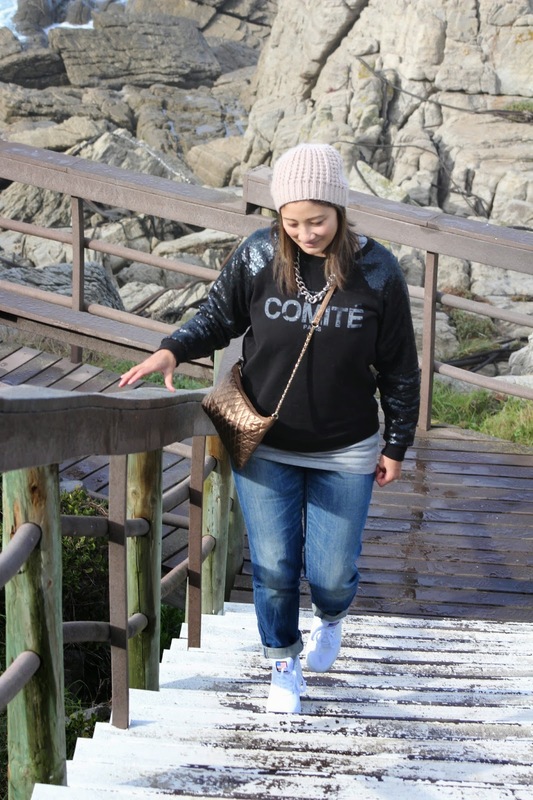 It is perfectly situated for a stroll along the cliffs, close to all the restuarants, and you can even do whale watching directly from your bedroom balcony! Such an idyllic setting, perfect for rejuvenating the body, mind and soul, and located just 2 hours outside of Cape Town. Who doesn’t love strolling through craft markets? On Marine Square. I could listen to the marimba band for hours.